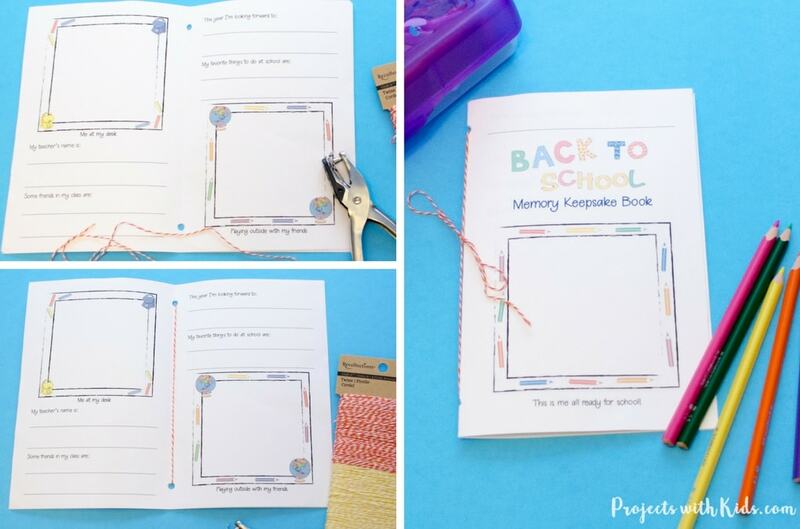 This back to school memory book is super simple and easy for kids to fill out. Memory books and keepsakes can be overwhelming, so much pressure to fill them out and keep them updated! I myself have partially filled out school books and birthday books for both of my kids that have taken me hours(and hours! ), and they are still not up to date. 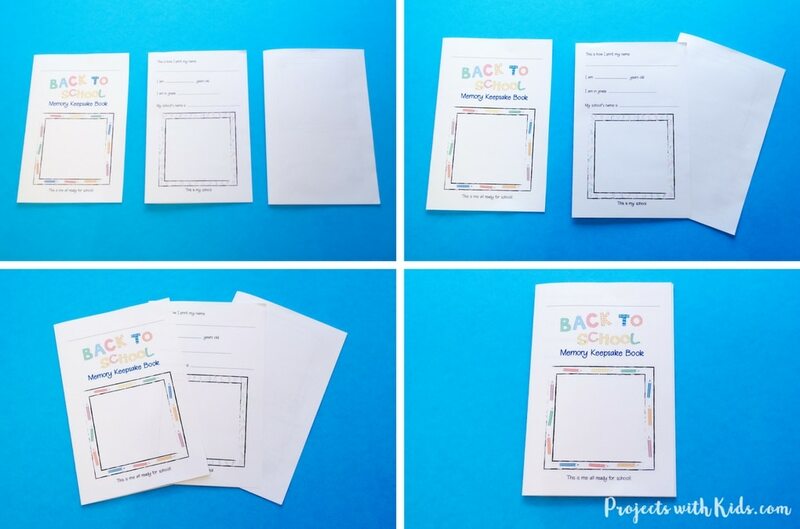 This book is only 4 pages plus the cover and your child can fill it out by themselves or with your help depending on their age in just one sitting. 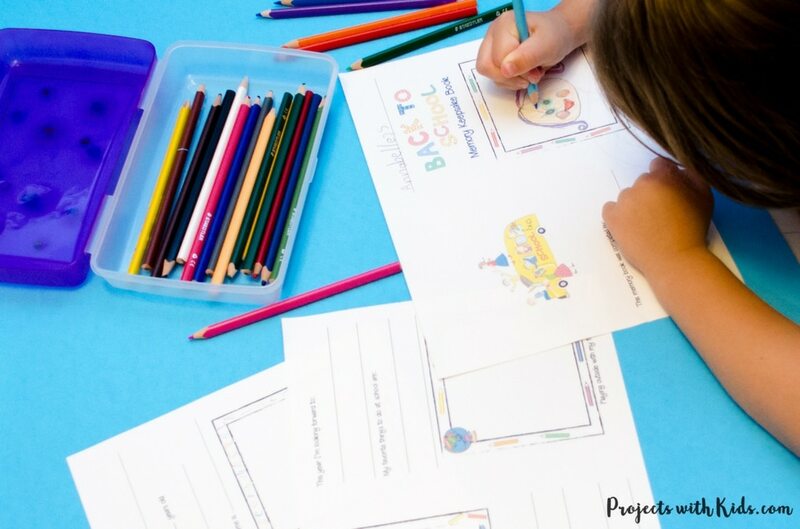 It’s a fun & colorful design with space to write and draw that can be used year after year to capture those precious memories. And it’s FREE as part of my printable resource library, which also includes lots of other awesome printables like notepaper and envelopes, doodle pages and more! Click here to sign up for my email newsletter and gain access. Paper and a printer (I have this one and love it! ), or you can bring it somewhere to get it printed out. 1. Print out the 3 pages. If you want you can print the cover on a heavier paper but that’s totally up to you. 2. Next, you want to have your child fill the book out. I found it easier to get my daughter to fill it out first before putting it together, but either way works. 3. Once you have the book printed, and it’s been filled out, you need to fold the pages. The last page of the pdf that has space for “Me at my desk” and “Playing outside with my friends” pictures you want to fold inward like the picture below. 4. Next, you want to put the book together. Take the page that is folded inward and place it inside the other page. Now put those pages inside the cover. Almost done! 5. Now to complete the book you need to bind it. So it can be as simple as adding a couple staples, or if you want to get fancy you can hole punch two holes in the middle of the book, thread a colored string through the holes and finish with a bow. And there you go, you have captured your child’s back to school memories easily and with no stress! 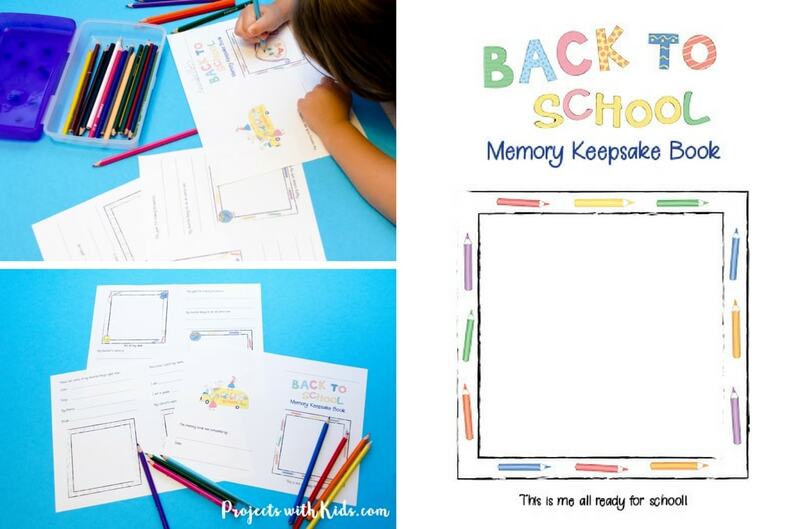 If you haven’t already, you can click here to grab your FREE printable school memory book. Once you have entered your email address you will immediately receive my welcome email that has the password to my printable library where you can download the PDF. While you’re there, download some more printables! Your kids might also like making these best friends polymer clay necklaces and these colorful beaded friendship bracelets to share with their friends at school! Follow me on Pinterest to more awesome project ideas! This is such a super cute idea!! This would be so much fun to do with my little boy! Thanks for sharing! This sounds like the perfect way to preserve those wonderful school day memories! School year runs on a different time frame here in Australia. We’re currently in term 3 but I’ll definitely save this to use with my kiddo students come start of the new term! These is so cute! and helpful! 🙂 I am sure kids will love having their projects or memoirs recorded in something so beautiful as this! Thanks Heather! And you’re welcome!! What a cute idea for memories. I just recently tucked away some artwork my sons created when they were small. Such precious memories with all these wonderful ideas. Thank you Yolanda! I love looking back on our keepsakes, so do my kids! I love it. I can use it for my nephew, he is still not going to school but we can practice and have fun. Thanks Elena! I hope you and your nephew have fun with this! Cool idea for my kids this season! 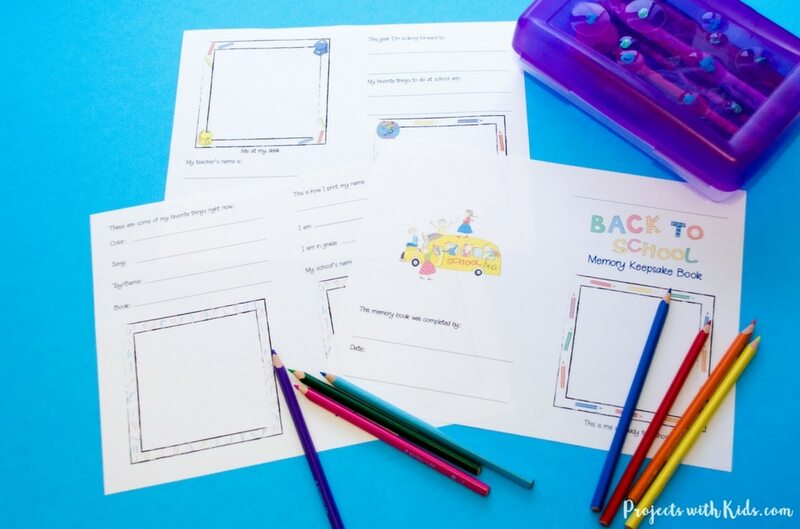 We have such a hard time breaking back into back-to-school mode because it’s just a busy time but this looks fun and like my kids would actually sit down and enjoy it. Thanks Carolina! I hope you and your kids enjoy this activity!